Ahhh, the infamous mug cake. Simple and delicious. I must admit I was extremely skeptical on the idea of a “healthy” food item that was spongy, sweet, can be microwaved, and that you could cook in a mug. Talk about every college girl’s dream. It’s a shock that I haven’t lived off of mug cakes during any time of my life. Seriously. The convenience is not the only wonderful thing about mug cakes. Another great aspect of mug cakes is that the basic recipe can be modified to fit almost any flavor preference. For instance, instead of adding cinnamon, you can add pumpkin spice, baking cocoa, or even unsweetened coconut flakes. Personally, I like to use Cinnamon because it provides a woody, sweet aroma and flavor, but it also possesses a lot of health benefits. When I have had a good day and feel like an extra special treat, I’ll take a moderate scoop of Vanilla Maple Artic Zero Ice Cream and place it on top of the mug cake and go to town! The mug cake still contains a good amount of protein and no sugar is added. In addition to this, both the coconut flour and sugar provide a sweet taste but still within Paleo guidelines. This makes it extremely easy to make for guests as well. What I like to do is tell them that it is a microwave soufflé. Honestly, they usually believe me up until the first bite. Then they can usually taste the lack of sugar (but we can’t because we are Paleo committed! Right?). 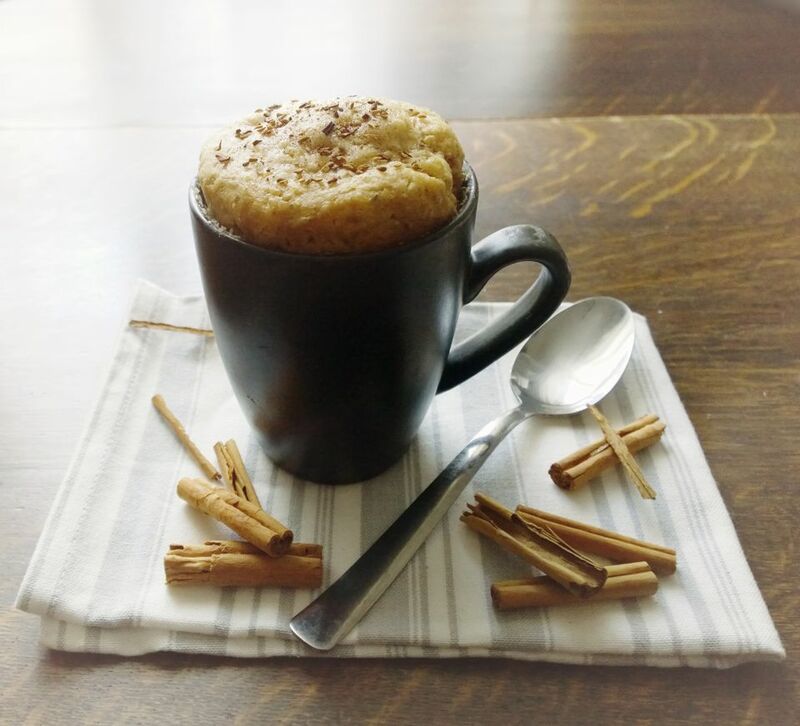 Substituting a dessert such as this mug cake is exceptionally better for our Glycemic Index levels especially if it is relatively close to bedtime. There are also the days when I am feeling extremely lazy or when I don’t want to do all the work, I check out Beechies Bakehouse for the delicious flavors and options that they provide in their pre-mixes. Locate your favorite mug and ensure that it is microwave safe. It will usually indicate in writing on the bottom of the mug (unfortunately, if it is not microwave safe you’ll have to use one that is!). Place all ingredients inside the mug and stir until they are well combined. Place mug in microwave and cook on high for approximately 1 minute. Allow to cool for a few minutes then eat and enjoy!